In case you are looking for a pretty capable notebook? This could be it! Lenovo has just dropped the price of the Yoga 300 ultra-portable convertible at Lazada! As a quick recap, the Lenovo Yoga 300 is the 11.6 inch Windows 10 OS powered brother of the bigger Yoga 500. It has an HD 1366 x 768 resolution and the famous 4 modes of Yoga devices including laptop, stand, tent, and tablet modes. Inside, its powered with Intel Pentium N3540 quad-core processor up to 2.66 GHz, Intel HD graphics, 2 GB of RAM, 32 GB expandable eMMC memory, WiFi ac, Bluetooth 4.0, HD webcam, 2x USB 3.0, 1x USB 2.0, HDMI port, Dolby Home Theater stereo speakers, and 2 cell battery. 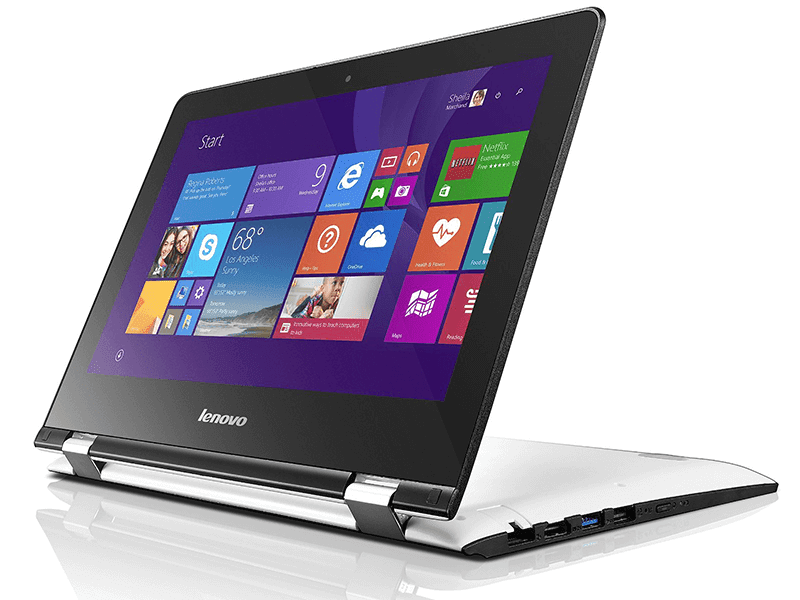 At Lazada Philippines, the Lenovo Yoga 300 with 2 GB RAM is priced at just PHP 10,999!